This guide walks you through the process of installing WordPress on top of a running NGINX server. That way, you will simplify, for example, the configuration of Let’s Encrypt certificates to secure your WordPress site. Copy the demo/ directory from the /opt/bitnami/docs directory to the /opt/bitnami/apps directory and remove the htdocs/ directory from the demo application. Download the latest version of WordPress and extract the files to the /opt/bitnami/apps/wordpress/ directory, then rename the directory containing the extracted files to /opt/bitnami/apps/wordpress/htdocs/. If you plan to use WordPress permalinks, add this configuration snippet to your /opt/bitnami/apps/wordpress/conf/nginx-app.conf file before the location directive. Create a database for WordPress. NOTE: When you connect to the MySQL database server, you will be prompted to enter the root user password. This is the same as the application password. Create a database user for WordPress. 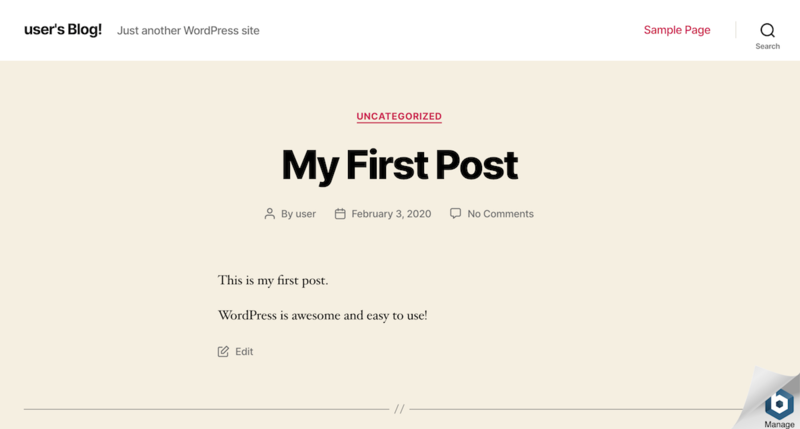 Keep in mind that you must replace the WORDPRESS-PASSWORD placeholder with an user-defined password that you will use when installing WordPress. Browse to http://SERVER-IP/wordpress to launch the WordPress Web configuration wizard. Simply follow the steps as prompted by the wizard. Click the “Let’s go” button to start the wizard. Create the wp-config.php file manually in the htdocs/ directory by pasting the text indicated in the WordPress configuration file. Return to the browser and click the “Run Install” button. 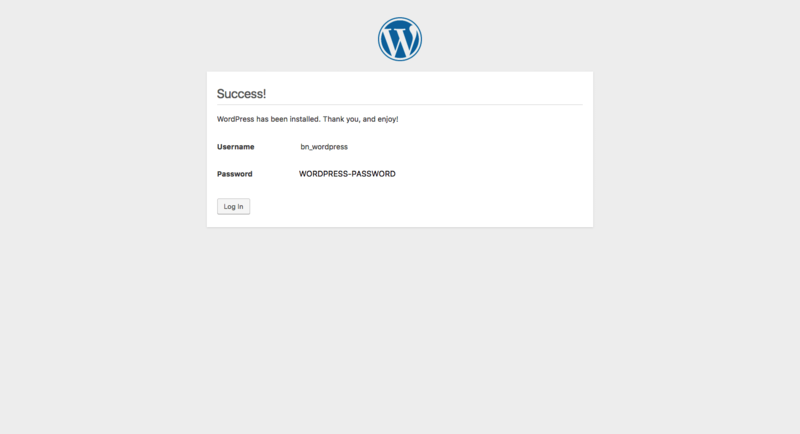 End the WordPress installation process filling the information needed. Click the “Install WordPress” button. IMPORTANT: Use the credentials specified earlier when creating the database user for WordPress. Remember that you must replace the WORDPRESS-PASSWORD placeholder with the same password you defined when creating the database user for WordPress. Access the Administration panel of your application by clicking the “Log In” button. Now, your WordPress is running on top of your NGINX web server!